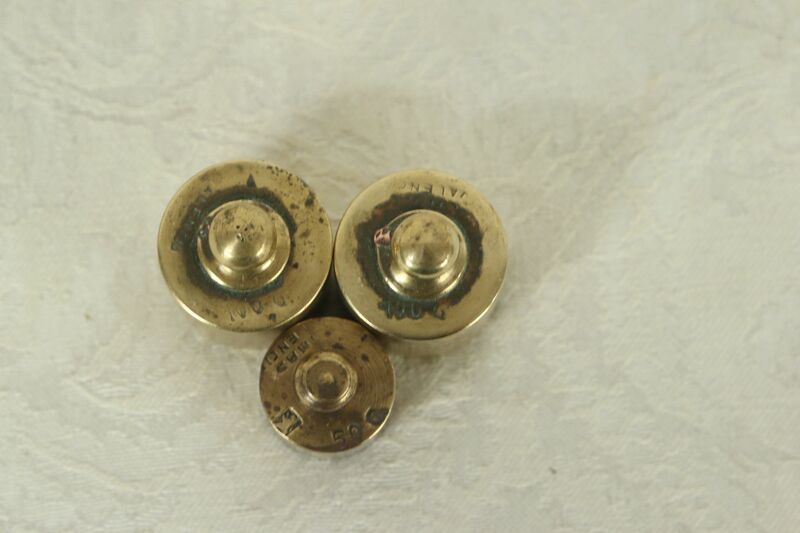 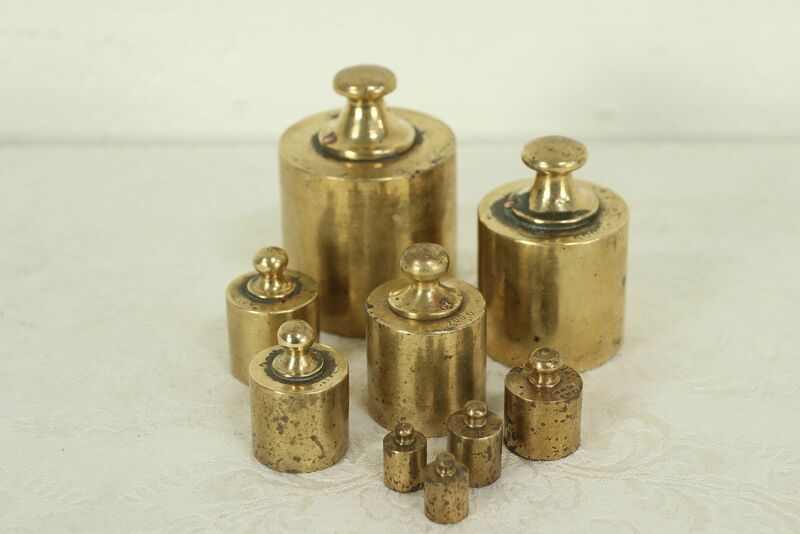 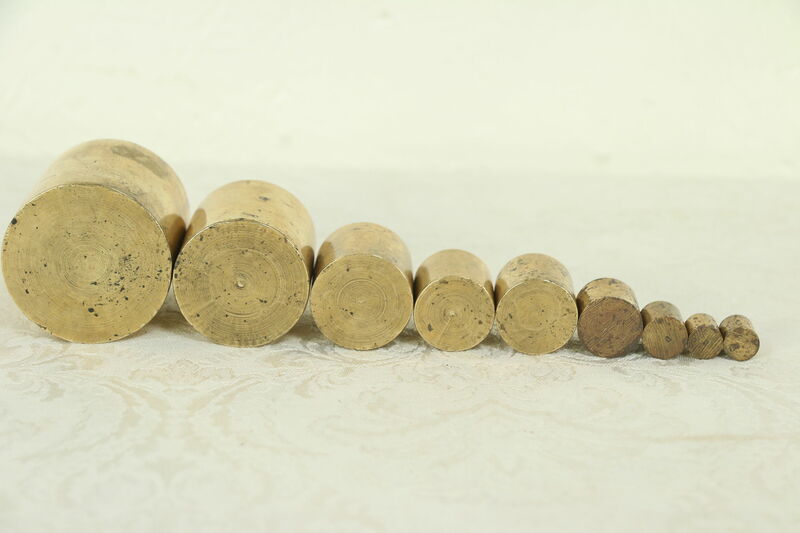 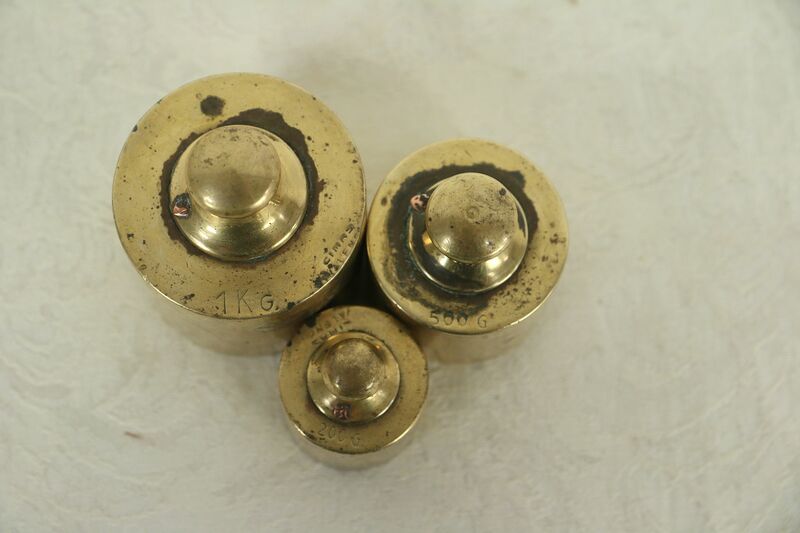 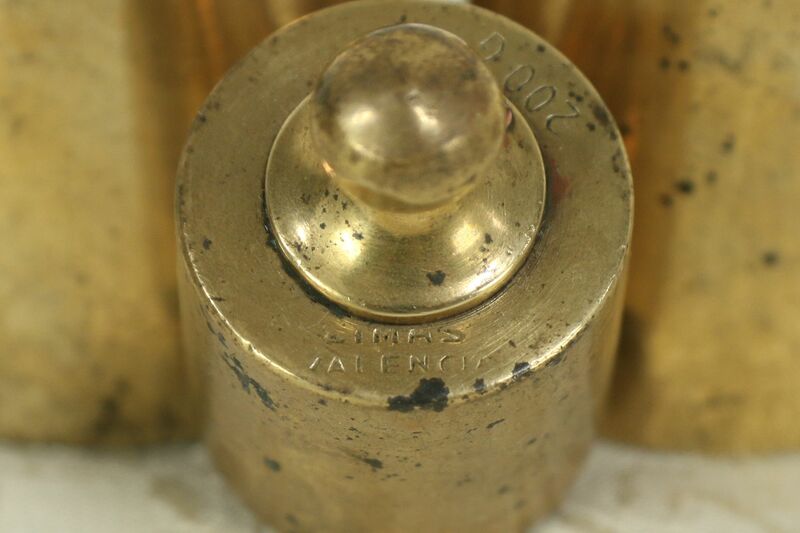 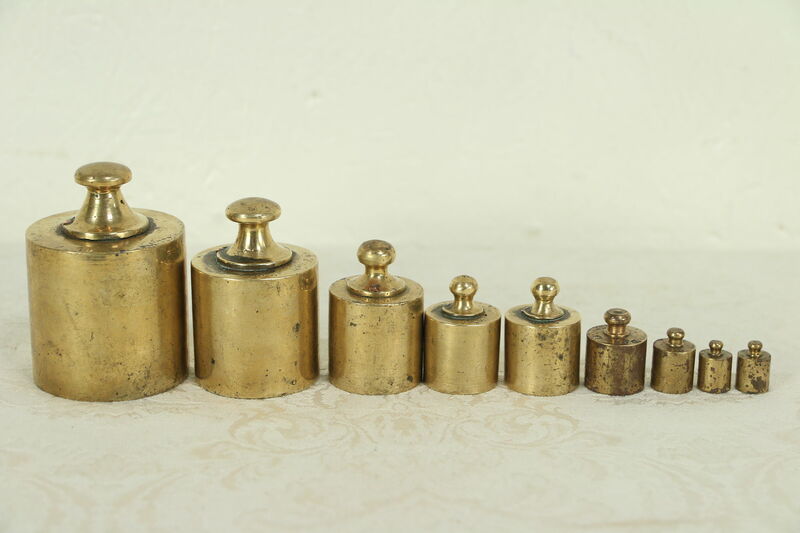 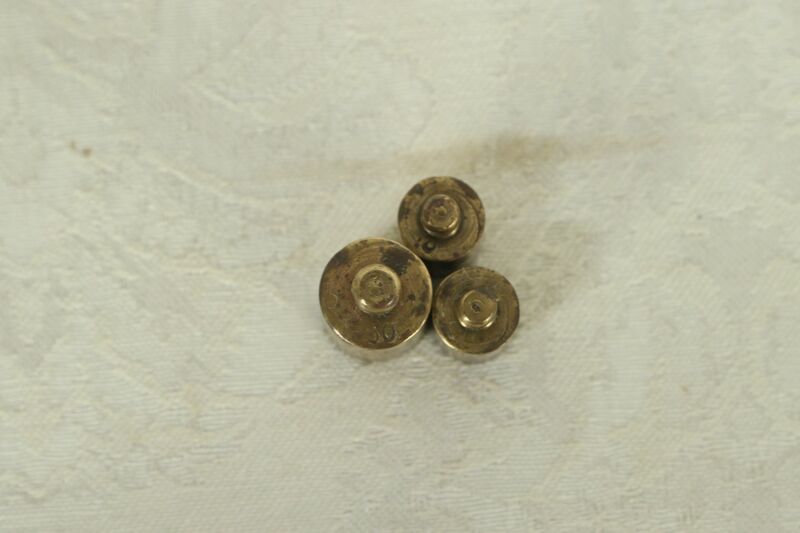 Signed "Cimas, Valencia" in Spain, a set of 9 antique solid brass scale weights go from 10 grams to 1 kg. 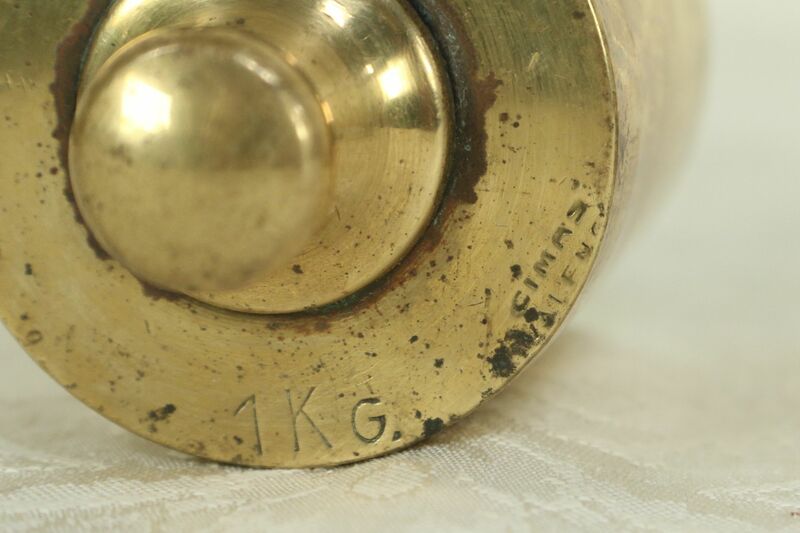 This metric set has nice antique patina. 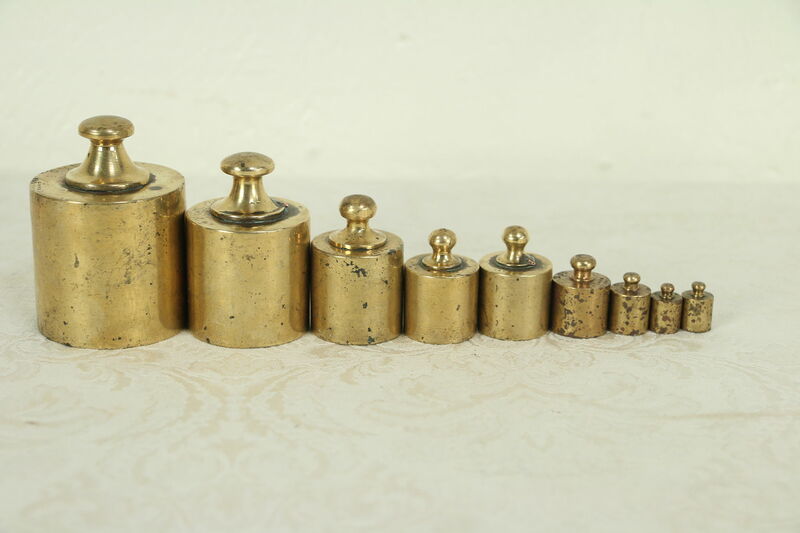 The largest measures 2" diameter and 3" tall.